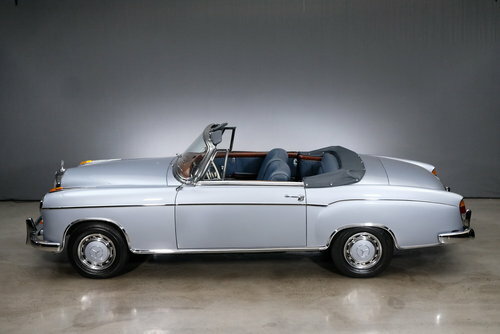 Between 1958 and 1960 a total of 1.112 vehicles of the type 220 SE Cabriolet were manufactured. 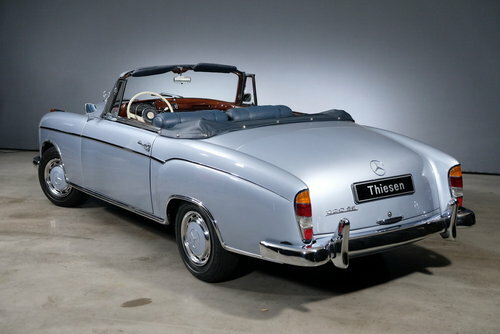 The Mercedes W120 is the first Mercedes which had a self-supporting steel panel bodywork. 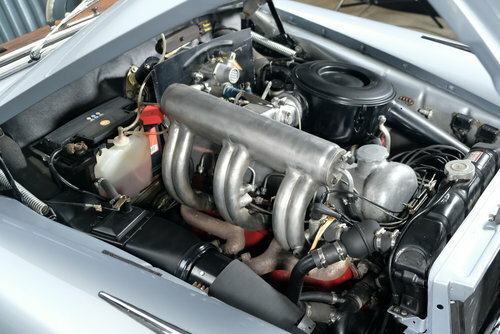 First it was only offered with four-cylinder engines. 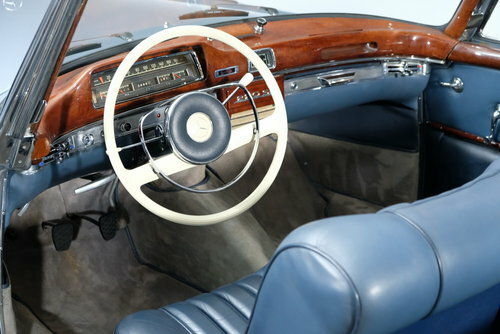 In 1954 followed the six-cylinder variant with an extended front end. 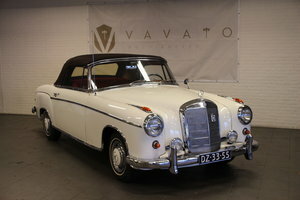 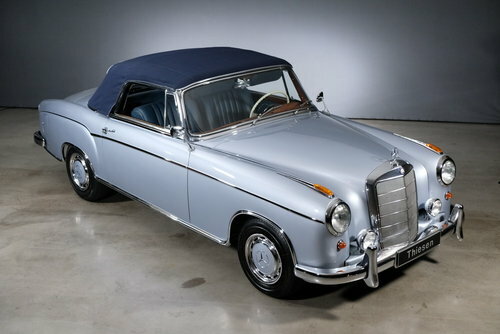 This beautiful Mercedes-Benz 220 SE Ponton Cabriolet first has been registered in France on 01.01.1961. 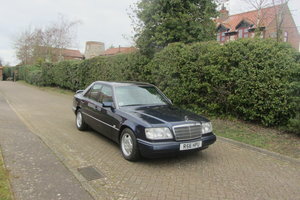 After a careful partial restoration the car has just been driven 8.900 km. 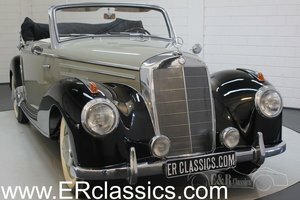 With its chrome trim, the wonderful veneered wood and the elaborately finished leather interior this car is one of the most luxurious Mercedes-Benz. 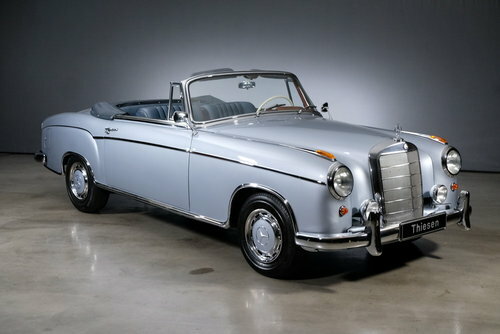 The 2–door SE execution was built only 1.128 times, making it less common than a 300 SL Gullwing. 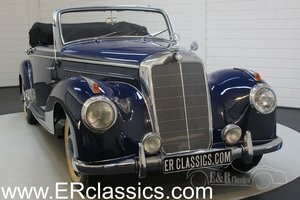 A German history-mark comes with the car.